Aug 25, 2013: Shauna & Friends will be playing the VIP Stage at Cruzan Ampitheater for the Backstreet Boys show!! Aughh! You might as well start screaming now, ladies. 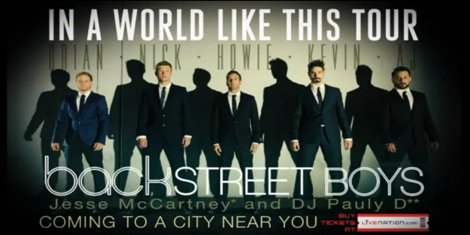 Yes it’s true, the Backstreet Boys are on tour! And I’ll be performing on the “VIP stage” for their show at Cruzan Amphitheater in West Palm Beach FL!! Backstreet’s back, alright –on Sunday August 25th. I can’t wait to get one of their irresistible 90’s hits stuck in my head again, and hear their new songs too. You can still BUY TICKETS!! ← I hope you had a great 4th. Come see me the 6th, 7th, or 8th!